Manchester coach Danny Byrne is on record as being proud of the club's recruitment record this season. The club found dominating big man Willie Clayton playing in Northern Cyprus and Mike McCall, a key player in last weekend's 75-73 win over champions Leicester, is another scoop for the Giants. "Mike's our point guard and was another one that had gone unlooked-at," said Byrne. "He played a couple of good seasons in the NBA D-League for the Iowa Cyclones and we knew what quality he was going to bring for us." McCall, who has also played in Ecuador, is averaging 15.6 points per game for the Giants this season. "He’s had some massive games," said Byrne. "Willie got all the plaudits against Leicester but [McCall] hit two massive threes down the stretch." 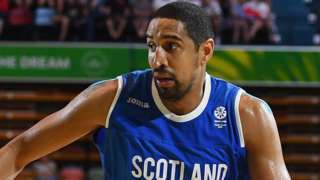 Former Great Britain captain Kieron Achara will retire from basketball at the end of Glasgow Rocks' season. Manchester Giants coach Danny Byrne says his team are still chasing a top-four place in the BBL this season. Worcester Wolves welcome Manchester Giants to Worcester University in the BBL Championship. The Giants pulled off an impressive 75-73 win over reigning champions Leicester on Sunday, despite a strong Riders final quarter. 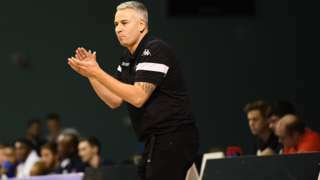 That victory lifted Manchester into seventh place in the BBL Championship table and ignited their hopes of cementing a place in the post-season playoffs. They face a double-header this weekend, away to the Wolves before travelling to the Plymouth Raiders on Sunday. By contrast, Worcester have had tough season, winning just three games so far in the Championship. The 2014 Playoff and Trophy winners have struggled to match that success in recent years and currently sit bottom of the table. The Giants have won both previous meetings this season but the Wolves will take confidence from losing by just a single point in a double-overtime thriller at Manchester in February. Can the Giants move a step closer to the playoffs?Image caption: Can the Giants move a step closer to the playoffs? How can I watch Worcester Wolves v Manchester Giants? 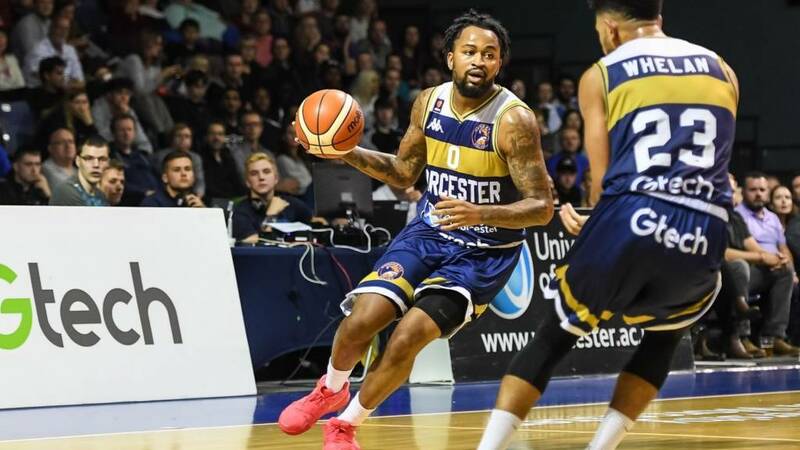 You can watch Worcester Wolves v Manchester Giants in the BBL live on the BBC Sport website, app, connected TV and iPlayer on Friday, 22 March from 19:25-21:30 GMT. The game will also be available to watch in full on BBC iPlayer for 30 days. A game where two teams compete to score the most points by throwing a ball into their opponents net. Players can move freely around the court, except for the player with the ball who can only move when bouncing or 'dribbling' the ball. All you need to get started is a ball and a hoop and you don't need any special kit - just comfortable clothes and trainers. How do I start playing basketball? Find your local club by visiting England, Scotland, Wales or Northern Ireland Basketball Association websites.